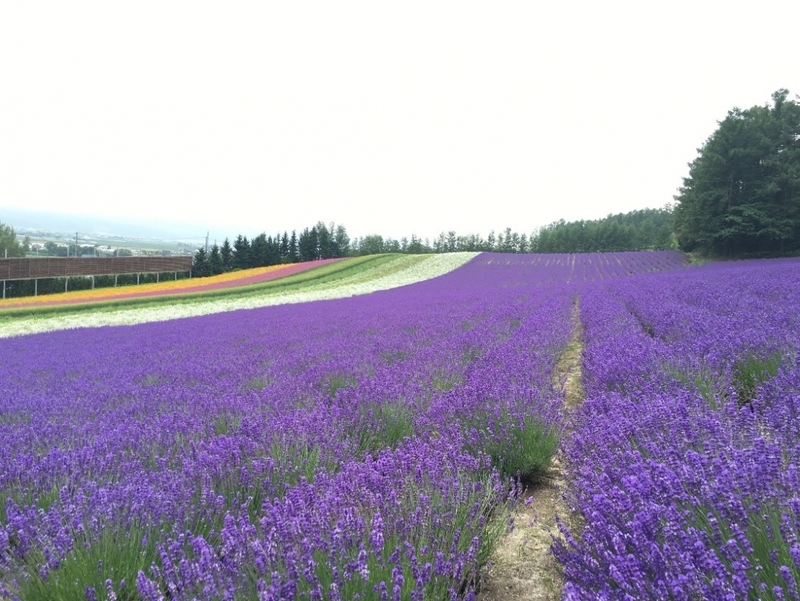 Cross-Cultural Perspectives: SLS Affiliated Study Abroad in Japan, Italy, and more! Interested in Study Abroad? SLS is affiliated with TEN study abroad programs that offer students the opportunity to study sustainable communities from a cross-cultural perspective. Several summer programs still have spots available. 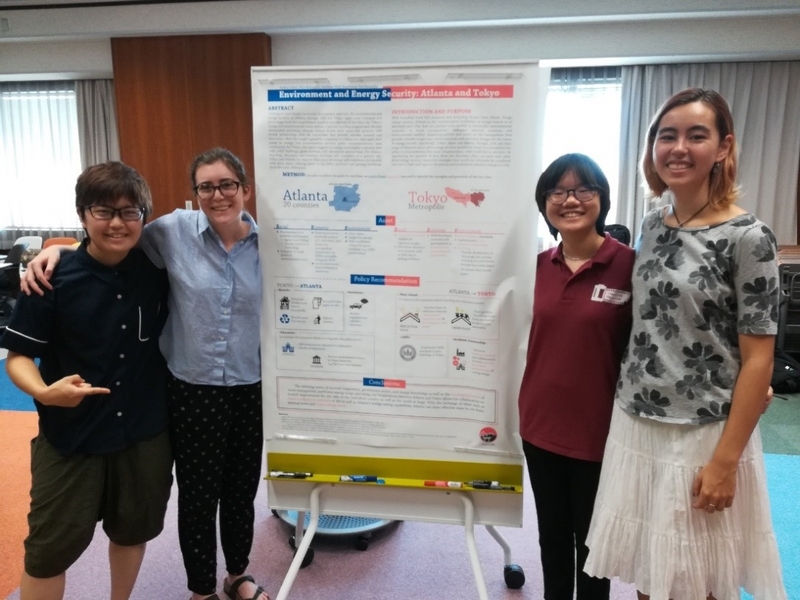 Check out this blog post from Kathleen Weil, our SLS Global Student Ambassador for the 2018 Japan Summer Program in Sustainable Development. If you have ever wanted to study sustainability, Japan is the place to do it. Even though the Japan Summer Program on Sustainable Development was taught by experts on sustainable development, I learned the most about sustainability outside the classroom, exploring Tokyo and traveling around Japan, picking up insights on transportation, technology, culture, and politics that formed a more rigorous and comprehensive understanding of sustainability. Not only did I learn about sustainability, but I also lived it. The classes translated these lessons into a more effective and utile understanding of sustainable development with experts on transportation, Japanese politics and bureaucracy, engineering systems, cultural anthropology, and environmental justice enriching my experiential learning. These classes took a problem-based learning approach to teaching sustainability that further enhanced my experiential learning as I researched, evaluated, and proposed solutions to current sustainability issues in groups of students with diverse backgrounds that resulted in creative and inclusive ideas that would not have been possible without our varied perspectives. Spending ten weeks meeting people from around the world and experiencing sustainability inside the classroom and out gave me a better appreciation for sustainable development and how it impacts my life. The first two classes, Megaregions and Introduction to Global Development, provided a thorough background on what it takes to develop a sustainable city and how to think about sustainability with historical context. With a solid foundation in what makes development sustainable, we were able to tackle problems involving a lack of sustainability that we identified in Japan in the next two classes, Energy and Environment Security and Global Development Capstone, where we worked in groups to propose sustainable solutions. Our teamwork was nearly as informative as the research we conducted. The multicultural and multilingual interactions within our groups strengthened our listening and cooperation skills as well as our appreciation for the benefits of diversity in group work. 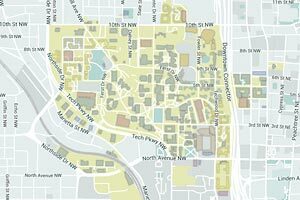 These four classes were the most interesting and impactful courses I’ve taken at Georgia Tech, and their multidisciplinary and problem solving approach gave the diverse range of students space to learn and succeed. Group and individual travel fortified our understanding of sustainability and allowed us to apply the concepts from the classroom to cities with real examples of success and failure in sustainable development. While each destination provided insight for all aspects of sustainability, some stood out as leaders on a particular branch of sustainability. First, Hiroshima and Kyoto taught us how a city can be socially sustainable with cultural preservation and educational institutions. In Kyoto, we visited numerous world heritage sights, including Ginkaku-ji (Silver Pavilion), Kinkaku-ji (Gold Pavilion), Fushimi Inari-taisha (Fox Shrine), Ryoan-ji (Zen Rock Garden), Kiyomizudera (Water Temple), among others where we learned the significance of Shintoism and Buddhism to the development of Japan and its culture. These cultural influences contribute to the Japanese appreciation for nature and the strong national identity. By experiencing the integration of temples and shrines in the city, I better understood how the ensuing social cohesion and environmental protection shape the social sustainability of Japan. 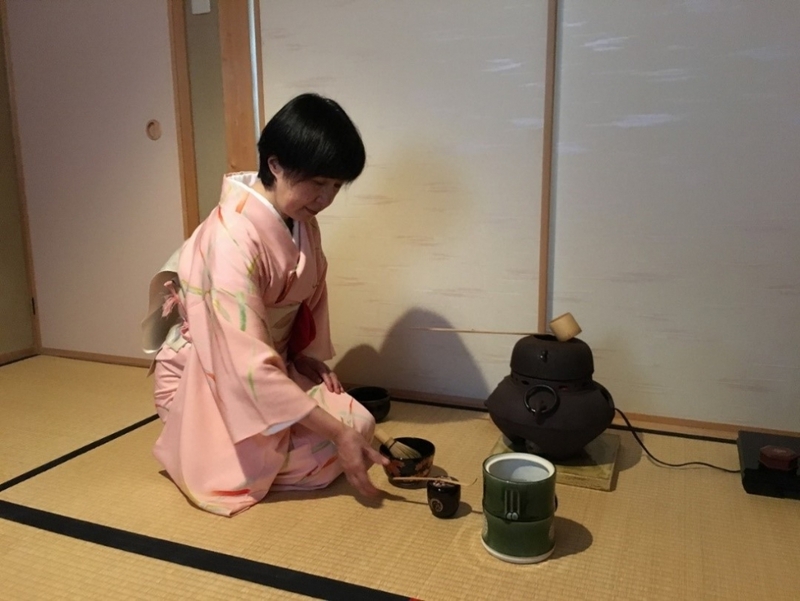 In addition, I attended a tea ceremony in Kyoto where everyone crawled through the short door and sat on the floor to represent humility and equality before learning about the tea ceremony principles wa, kei, sei, and jaku (harmony, respect, purity and tranquility) that express Japanese values through historical rituals. The ceremony reinforced the importance of culture in sustainability; national identity strengthened through such customs and the attention to respect and equality contribute to Japan’s ability to make sustainable decisions that benefit the group over the individual, from extensive public transportation systems to income equality. 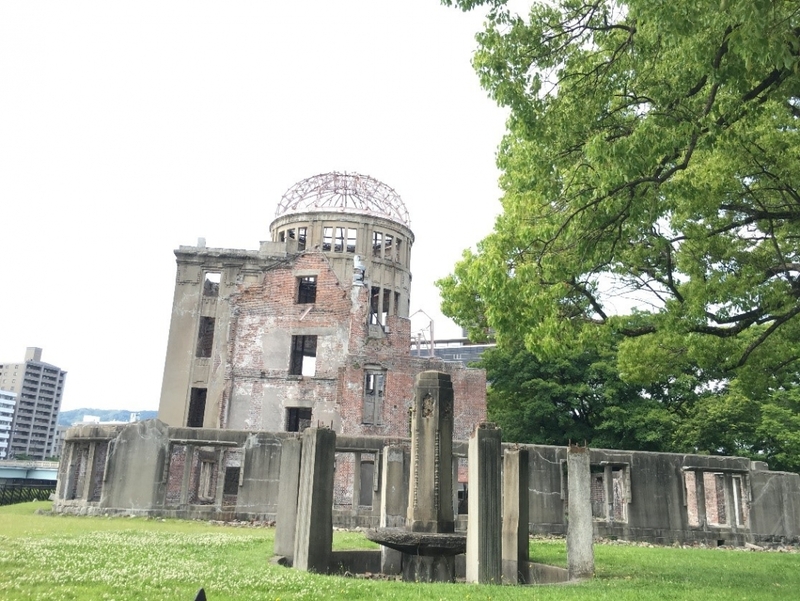 After Kyoto, we went to Hiroshima to visit the Peace Memorial Park and Museum where we got a lesson in the importance of resilience in sustainable development. Looking at the thriving city after seeing images of the devastation caused by the atomic bomb was a startling example of the resilience of the Japanese people. Without resilience, sustainable development is fleeting and thus meaningless from the waste of resources and lack of stability for future generations. Due to the fortitude of its people, Hiroshima was rebuilt with modern infrastructure that allowed it to develop more sustainably after the bomb than it could have before. Japan is no stranger to disaster, whether manmade or natural, but its persistence and consistent progress makes it a remarkable and sustainable country. Just a ferry ride away from Hiroshima, we visited a small island called Miyajima for an afternoon, viewing Itsukushima Shrine with its famous floating torii gate, climbing Mount Misen, and taking pictures of the wild deer that roamed the island freely. Miyajima, along with my trip to Furano and Nara, helped me visualize the environmental aspect of sustainability through the extensive ecotourism of Japan that exhibits the country’s respect for nature. While the stunning beauty of these places reveals some sustainable development through their preservation, actual practices of waste management and energy efficient travel options represent the bulk of Japan’s environmental sustainability efforts. Japan’s extensive recycling program and absence of littering (and public trashcans) show the commitment to keeping the environment clean, whether it’s a beautiful field of lavender or downtown Tokyo. Furthermore, the popularity of public transportation contributes to smaller greenhouse gas emissions and transit-oriented development, meaning businesses are located close to public transit stations which makes them more accessible and reduces urban sprawl. Clearly, Japan’s pristine beauty is no accident; complex systems exist to keep development from hurting the environment. Despite Japan’s world-renowned transit system, cities with fewer local trains still rely on cars, especially Nagoya. During our visit to Nagoya, we went to the Toyota Museum to learn about the history of automobiles in Japan and catch a glimpse of their future iterations. While the automobile industry undoubtedly harmed Japan’s environment, it helped launch Japan’s economy after World War II and made Japan the innovative and technologically advanced powerhouse it is today. After seeing some vintage cars, I visited the modern section and saw the evolution of Toyotas in recent years as they became more ecofriendly with alternative fuels, higher efficiency, and better emission standards. Looking at each iteration side by side, I better understood the role of economy in sustainability. While the market did drive the country down a less sustainable route with more green house gas emitting cars, the country also shaped the market by creating a demand for more sustainable options. After my trip to Nagoya, I saw the economy not as an enemy of sustainability but as a tool to implement it. Whether or not that tool is used properly is up for debate, but I learned the importance of the economic branch of sustainable development nonetheless. After ten weeks of studying sustainability, riding public transport, sorting all my trash, and learning all the rules of Japanese society, my understanding of sustainable development is visceral. Not only can I discuss sustainability in an academic or professional setting, but I can also feel what it’s like to live sustainably and know how to implement my Japanese experiences into making my life include more sustainable practices. While my city may not adopt many of Japan’s sustainable customs, I will, and by applying sustainable education to my life and encouraging others to pursue similar goals, I hope to bring the best of Japan back to Georgia Tech and beyond. The Japan Summer Program in Sustainable Development is a ten-week program home-based in the lovely, historic port city of Kobe. Japan – with superb mass transportation, low crime, progressive environmental policies, and endless things to do and see – is the perfect setting in which to study sustainable development. And Kobe presents a unique blending of traditional and modern as reflected in gleaming skyscrapers and bustling department stores alongside zen gardens, stately temples and shrines, and ancient arts.One week of the program is devoted to exploring the beautiful Japanese countryside, including planned visits to Fukushima, Kanazawa, Kyoto, Hiroshima, and Himeji. Through field trips, lectures, and multi-disciplinary, cross-cultural problem-based learning, this program aims to equip students with the tools needed to understand and respond to the broad issues of sustainable development. 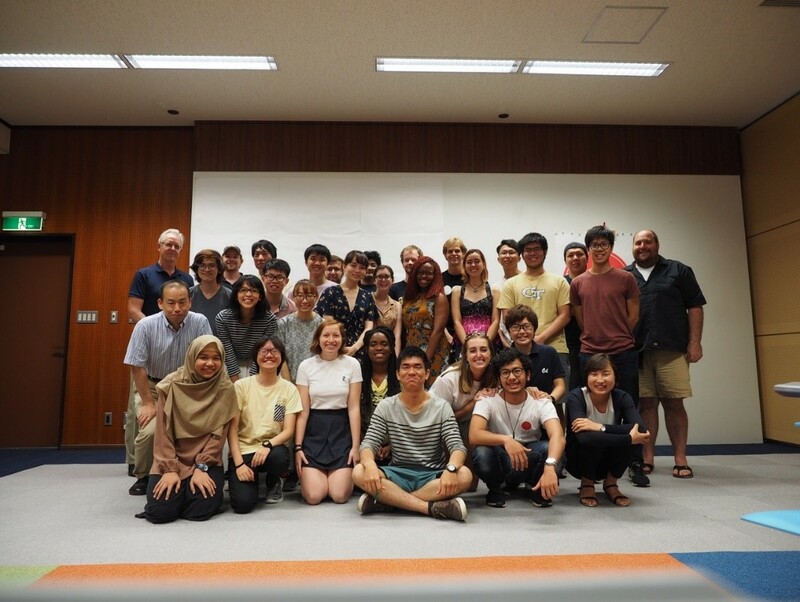 The Japan Summer Program in Sustainable Development runs from May 25ththrough August 3rd. It is open to students of all majors. There are no prerequisites or language requirements. The Sustainable Development and Climate Change program in Italy has a few more available spots, as does Nature, Governance, and Sustainability in Costa Rica. Read about these programs on our Study Abroad page, and click the program links to find descriptions, application information, and perspectives from students who have participated in these fantastic study abroad experiences!